The shape calculator is used to perform 2 types of calculations. First, given one dimension of a shape, it will calculate the other dimensions for that shape. For example, suppose you have a Half Square Triangle and know the length of the side of the triangle, but want to know the length of the diagonal. The shape calculator will do that quickly and easily. As another example, a hexagon has side, width and heighth dimensions. As long as you know one of these dimensions, the shape calculator will calculate the other two for you. The second calculation is suppose you have a certain sized shape and now want to know the dimensions of that shape if you make it a certain amount larger or smaller. 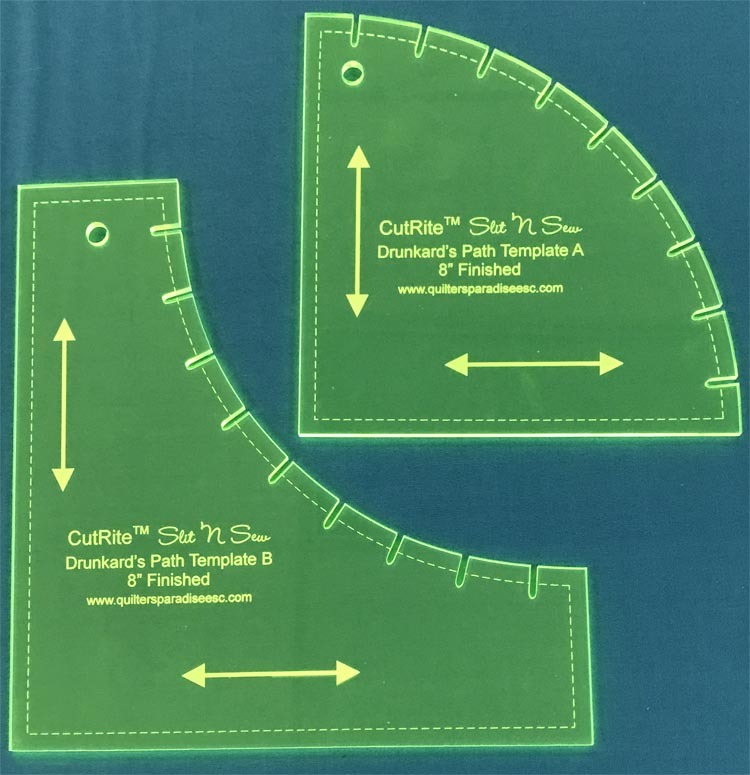 The shape calculator will calculate those dimensions for you! The classic quilting use for this calculation is for seam allowances. So, for example, suppose you have a 45 degree diamond and want to know the dimensions of a 45 degree diamond when you add a 1/4" seam allowance. The shape calculator will do the math for you. The calculator is versatile allowing you to specify whether you want to add or subtract that allowance. Having a problem with a calculator or have a suggestion? We want to know! Select whether you want calcuations for a larger or a smaller shape. If you don't want such calculations, select "No Change". Select how much larger or smaller to make the shape. How large is the shape? Select a dimension (see the diagram for the shape to the right) and enter the length of that dimension.